Description HP 540 541 Laptop Battery is brand new, higher capacity -- 5200mAh and cheap price. We guarantee the HP 540 Battery with a full one-year warranty from the date of purchase, 30-days money back if the battery(s) have any quality problem! of course fast shipping We believe that our customers should receive the highest quality HP 540 battery at the lowest prices. 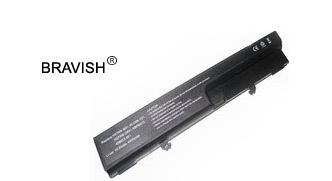 We stand by and guarantee the quality of our laptop battery for your hp 540 541. 100% OEM compatible with the origin HP 540 laptop battery More than 5000 milliamperes of selling hp 540 battery price is less than 60, profit-sharing to our new and old customers, not because there are problems, please rest assured to buy. Our principle is to allow our customers the lowest price to buy cost-effective hp 540 laptop battery.